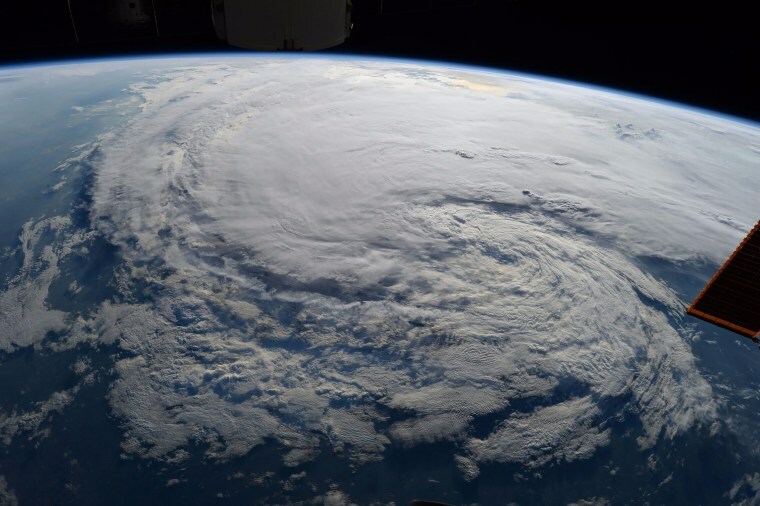 The long-term warming of Earth almost certainly created conditions that packed more moisture into Hurricane Harvey, scientists say. But the aspect of the storm most punishing to Houston — its languid pace, while dropping all that water — is less clearly tied to climate change. The deluge is equal to about 1 million gallons for every man, woman and child in Southeastern Texas, according to the Associated Press. Those massive reserves of water can be directly linked to the increased temperatures in the Gulf of Mexico, according to several scientists. Harvey has been fueled by waters that are nearly 1 degree Celsius (about 2 degrees Fahrenheit) warmer than in the past. Researchers put the increase in moisture in the storm added by that greater warmth at anywhere from 3 to 7 percent. “That large amount of moisture meant the potential for much greater rainfalls and greater flooding,” Michael Mann, a professor of atmospheric science at Penn State University, wrote on his Facebook page. The increased wetness packed by storms today is linked to the higher rates of evaporation that come along with higher temperatures in the atmosphere, said Mark Jacobson, director of Stanford University’s Atmosphere/Energy Program. Harvey has also devastated coastal communities because of an enhanced storm surge — another phenomenon that scientists widely agree is tied to climate change. In Galveston, Texas, near where Harvey made landfall, warming has contributed to a sea-level rise of more than a foot, in just the 50 years through 2012, according to the Union of Concerned Scientists, an environmental advocacy group. And higher sea levels create a cascading series of problems. In Galveston Bay, for example, Harvey’s storm surge of more than two feet came on top of the already higher sea level. Storm drains and waterways that normally empty into Galveston Bay had no place to empty. They backed up, causing even greater flooding. But Harvey, unlike many previous tropical storms, delivered its biggest punch because it refused to move on. After leaving much of Houston underwater over the weekend and Monday, the storm has retreated back to the Gulf of Mexico, where the warm water will help it refuel before it makes another landfall, probably Wednesday morning. Tracking maps show it hovering near the coast until Wednesday afternoon. “The stalling is due to very weak prevailing winds which are failing to steer the storm off to sea,” said Michael Mann, Penn State University Climate Scientist. What has caused the plodding nature of the storm? Researchers don’t know, or do not entirely agree. Penn State’s Mann believes that Harvey’s “stalling” very likely can be connected to changes in the jet stream. This pattern of expanded high pressure in the subtropics is, in turn, predicted by computer simulations of human-caused climate change, Mann said. “Whether we can implicate this general phenomenon for [Harvey] is, of course, rather speculative,” Mann acknowledged, via email. Kerry Emanuel, a professor of atmospheric science at MIT, agreed with the other scientists that the increased temperature of the Gulf was not enough to explain the record rainfall pelting the Southeast. Emanuel said the other notable change in the region is the fairly sudden “collapse” of the speed of currents in the Gulf of Mexico. Currents ran as high as 19 knots through 2010, before dipping sharply, to less than 14 knots in 2016, the last year fully calculated. But the decline of current speeds has been recorded over just six years, in contrast to human-caused climate change that dates back more than a century. By Emanuel’s analysis, that suddenness “weighs against” the theory that the climate crisis is the cause of the torpid advance of storms like Harvey. Stefan Rahmstorf, Emanuel’s colleague at the University of Potsdam, in Germany, said via email that recent research has shown that the area where Harvey made landfall is between a region where the jetstream flows south and one where it flows north. That part of the Texas coast “persistently lacked any steering flow in the upper atmosphere that could have moved it away." But there is no settled science on the sloth of storms like Harvey, Rahmstorf said.